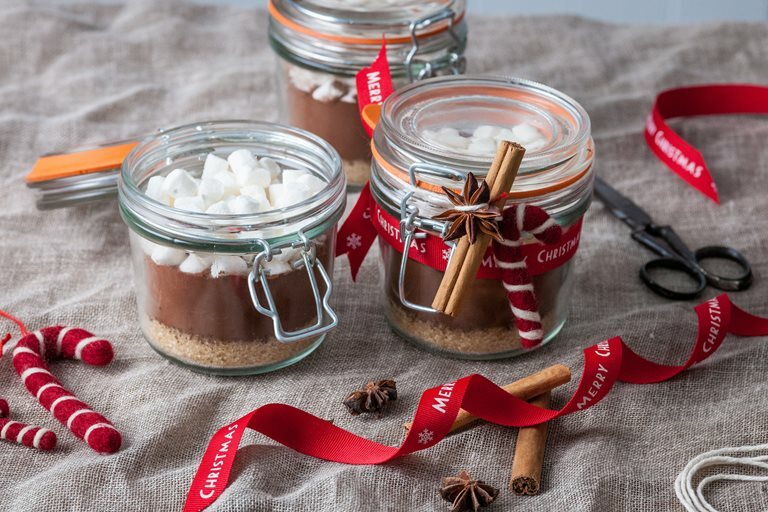 Frances Atkins' spiced Christmas hot chocolate kits are the perfect edible gift. Add these simple instructions to a gift card or tag: 'To make your spiced hot chocolate, remove the lid from the jar and take out the marshmallows. Put your spice bundle inside the jar. Boil 200ml of milk and cool until warm. Pour into your jar, put the lid on and shake. Remove the lid, add the marshmallows and enjoy! '.